We quickly and safely remove the mold infestation from homes, buildings, etc. We replace and repair all damage caused by mold and water. A mold inhibitor is applied to the area so new mold will not grow. At Abatement Solutions Inc., our mold remediation team understands how alarmed you must feel if you’ve recently spotted signs of mold in your Atlanta, Georgia, home or business. You’ve probably heard plenty about the dangers of mold – how it can hurt your health and damage your property. While mold does pose a serious threat, you needn’t panic. In Abatement Solutions Inc., you have a partner that you can count on to provide the expert mold inspection, thorough mold remediation, and lasting mold prevention services needed to keep hazardous mold contaminations at bay for your residential or commercial property. Numerous qualities make Abatement Solutions Inc. the mold specialist of choice for home and business owners throughout Atlanta, GA, and surrounding communities. For one, unlike some other mold removal companies, we don’t use scare tactics to generate extra business for our firm. To identify the extent of your mold problem, our mold inspection team will thoroughly examine your building. If needed, we’ll have an independent third party test your indoor air quality, so you’ll have an objective confirmation that you need our professional mold abatement services. 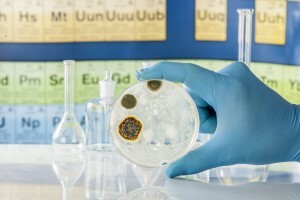 Notably, we even guarantee that after our mold removal work is done, an independent lab will verify that the mold presence in your home or business has been reduced to healthy, industry-accepted levels. Whether you have mold in your basement, crawl space, or elsewhere in your house or commercial property, you can trust that our Certified Mold Remediation Contractors will utilize the most effective methods and equipment to make your building a safe environment once again. We’ll use containment barriers and air scrubbers to clean mold spores out of the air, preventing them from contaminating other parts of your home. Because mold needs moisture to grow, our team also will work meticulously to extract standing water or excess humidity from your building using professional-grade water extractors, air movers, and de-humidifiers. Then, we’ll measure our progress with moisture meters to confirm the area is dry and no longer conducive to mold growth. When completing mold mitigation work in your building, our team will use EPA-registered cleaners and disinfectant solutions to kill the mold and sanitize the affected areas. Any items too badly damaged for cleaning will be safely bagged and removed using proper procedures to prevent mold from spreading. Our expert staff can handle any necessary water damage restoration, and will rebuild or replace mold-damaged items in your home or business – such as drywall, baseboards, or framing – to return your building to its former condition, before the mold contamination occurred. To prevent the mold from growing back, we’ll treat the affected surfaces with a protective coating, which we back with an exceptional 10-year warranty. For new construction, we also offer a mold prevention treatment for the main structural surfaces of your building using a product called FortiCel™, which is backed by a transferable 25-year warranty that can be a big selling point if and when you decide to sell. 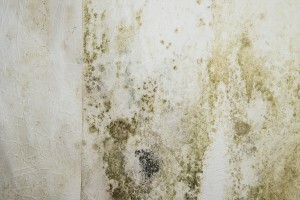 Truly, no matter what your mold-related needs may be, you won’t find a business that’s more capable of making your property a safe environment than Abatement Solutions Inc.
To discuss how our team can safeguard your Atlanta, GA, home or business from hazardous mold growth, contact The Mold Experts! at Abatement Solutions Inc. today.